A friendly, professional dog and puppy training service in and around Horsham, West Sussex. 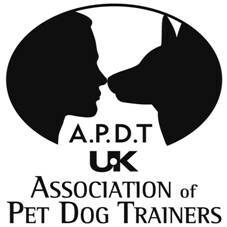 I have been assessed and am a proud member of the Association of Pet Dog Trainers. I offer 1-1 training for dogs and puppies. I believe in educating owners to train their dogs using kind, up to date reward based methods that will help them learn to respond to their owners, ensuring that they can lead happy, fulfilled lives as part of the family. I am passionate about keeping up to date with training techniques and latest research. This means that I attend many courses covering a broad range of training and behaviour subjects. I do not use aversive methods (spray cans, water sprays, choke chains, shock collars etc) or any form of punishment or corrections to train. Reward based training is not only kind, but the most effective! Areas covered: Horsham, Rusper, Southwater, Billingshurst, Slinfold, Barnes Green, Cowfold, Broadbridge Heath and surrounding villages.